When it comes to customer service chatbots, today’s online shoppers have trust issues. With fears of “error” responses, or even worse, completely inaccurate answers, customers reluctantly turn to call center agents to handle issues directly with a live representative. Ultimately, this often results in frustrated customers and wasted money. But there is good news: customers want to be able to trust self-service technology. In fact, a recent study shows nearly half (44%) of online consumers prefer using chatbots for customer service if brands get the experience right. 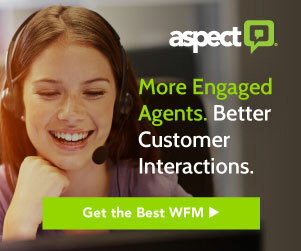 Furthermore, 65% say they “feel good” when they’re able to resolve their customer service problems without a live agent. So, how can brands make sure they’re offering the best chatbot experience possible for customers? Cutting-edge artificial intelligence and natural-language processing (NLP) technologies are taking chatbots to the next level. These new and improved bots allow a smarter, more intuitive experience — driving two-way communication between brands and customers, rather than simple one-way transactions of information. To effectively dispel customer distrust of chatbots, brands should look to include these three smart features into their virtual assistant technology. First things first — customers don’t want to spend time searching various points of a website or channel to find a chatbot. By implementing virtual assistant technology across every touchpoint, brands can ensure they’re reaching customers on their preferred medium, allowing them to self-serve on their own time. This includes incorporating chatbot technology into popular messaging applications and social media sites, like Facebook, as well as more traditional channels like brands’ mobile applications and websites. If a customer is on Facebook and sees an advertisement for a specific product, they should be able to instantly open Messenger and ask a question about that particular item, or how long it might take to ship. By making chatbots readily available and willing to help wherever and whenever needed, customers will start to rely on the technology more often. Another important part of this seamless integration is allowing the ability for chatbots to help customers with more challenging processes, such as completing transactions. Acting as a metabot, they can connect the customer with a separate transactional bot, or even a human-assisted channel to continue the interaction based on the customer’s needs — whether that means answering more complex questions or allowing the customer to complete a purchase. The capability to coordinate the transition of the customer while ensuring a continuous experience allows brands to create a seamless customer journey — supporting shoppers from the browsing stage all the way through the process of making a purchase. When looking for help with customer service problems, people want to feel like their problems are heard and understood, and there’s a flawed preconceived notion that chatbots can’t offer a human-like experience. 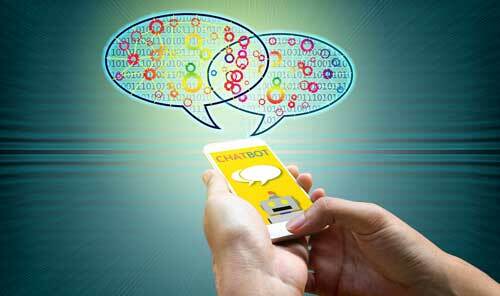 However, innovative natural-language processing technology allows intelligent customer service chatbots to replicate a natural conversation between humans. 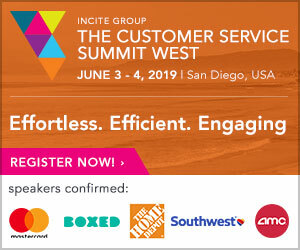 A big part of this function is taking in contextual cues and understanding customer intent. For example, if a woman is making her very first purchase on a clothing brand’s website, she might be interested in learning a bit more about sizing. When looking for insight on different clothing items, she could ask, “Do jeans run true-to-size?” and then, “What about dresses?” A simple search bot would likely come back with a response that it could not understand the question. But a smart chatbot will immediately recognize the context from the first question and understand that she is looking for information on dress sizing — just like a human interaction. NLP enables chatbots to make customers feel understood and supported, easing customers along their digital journeys. For e-commerce brands, going one step further and allowing chatbots to offer personalized service is key to truly winning over customer trust of chatbots. For example, a customer looking for a quick update on the status of an order will ask the chatbot, “When will I receive my most recent purchase?” By then allowing the customer to log into the account via the chatbot, the technology can know to look at the status of the shipment and provide a personalized response based on the information in the individual’s account. Offering tailored responses pulled from account information will show customers the real value in chatbot technology. Furthermore, this kind of seamless customer experience will also drive loyalty to a specific brand. When looking for answers to customer service problems, people want fast, accurate answers. Chatbots offer both, and the real hurdle is getting people to trust this evolving technology. By incorporating smart features into these bots — such as seamless integration, and the ability to understand context and offer personalized responses — brands can begin to grow customer trust of the technology, driving enhanced brand experiences and satisfied customers. Lior Bachar is Head of Product at Nanorep. Lior has extensive experience in product management and an MBA in technology, entrepreneurship, and innovation. Lior specializes in optimizing high-tech tools for teams and delivering the best end-experience to customers. At Nanorep, Lior is a crucial part of the team, bringing a passion for AI and sophisticated technology into the world of customer experience, inspired to find new ways to reinvent intelligent self-service.